This year, National Customer Service Week is October 3-7. 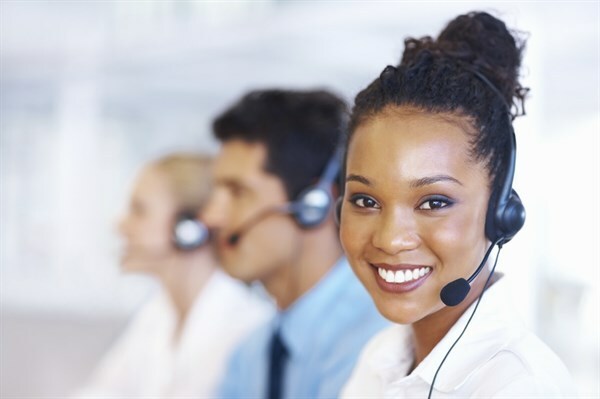 The International Customer Service Association started customer service week in 1984. To make it official, on October 8, 1992, President George H. Bush gave his stamp of approval and signed a Presidential Proclamation (No. 6485) that proclaimed the first week of October every year as National Customer Service Week. A business will do a better job of providing high quality goods and services by listening to its employees and by empowering them with opportunities to make a difference. In other words, the emphasis is on the employees – listening to them and empowering them to take care of the customer. Monday is the kickoff rally. Leadership talks about Customer Service Week and what it means to the organization. Tuesday is what Gessert calls “Trading Places.” Leadership takes over, or at least shadows, someone working on the front line. It could be on the sales floor or in the support center. The idea is that leadership can experience firsthand what customers are saying. Wednesday is meal time. The executive and management teams serve the employees a meal. Thursday is “Dress Up” or “Dress Down” day. If your organization’s dress code is typically business casual, have everyone dress up as if they are going to a very important event. And, if you are typically business attire, give the employees a casual day. Friday, the final day of National Customer Service Week, is for awards and recognition. The week-long celebration culminates with recognition for employees and their efforts to deliver good customer service all year long. Write thank-you notes to fellow employees. Each employee has an opportunity to write a note to another employee. It could be a coworker or maybe even someone they don’t know. Have a customer service training session. As customer service is in the spotlight during the week, make time for some customer service training. Sure, you can hire a speaker or trainer (we love when our clients do that! ), but you don’t have to spend any money on an outside resource. There is plenty of free content on the web. My YouTube channel has more than 500 videos that our clients regularly show their employees. Many other speakers and trainers offer videos on YouTube as well. Here’s an idea: go to YouTube and search for “Funny Customer Service Videos.” You’ll be amazed at some of the humorous videos that could be fun to share with employees. Watch a video and have a discussion. Fill out a Moment of Magic card. This is my favorite exercise. Give everyone a postcard (it could even be themed for National Customer Service Week) and have them write an example of a positive customer service experience they created (what I call a Moment of Magic®) for either an internal customer (someone they work with) or an outside customer. Compile these “stories” into a nice format that can be emailed as a PDF. Or, if you want to take it to another level, put them into a book that is actually printed and distributed to the employees. There are plenty of options for printing today, but perhaps the easiest is Amazon.com’s CreateSpace. They will do a great job publishing it for you, and it is very inexpensive. I could share dozens of other ideas, but these should give you a good start. And, while I enjoy the special attention National Customer Service Week brings each year, I like to add a reminder. Although you might emphasize amazing customer service for a week, it shouldn’t be just a week-long effort. It should be a continuous effort – day after day, year after year. My personal mantra is to Always Be Amazing! The word always is for more than a week. Even more than a year. It’s all of the time. Shep Hyken is a customer service and experience expert, keynote speaker and New York Times and Wall Street Journal bestselling author.